With Logan hitting theaters, we're looking back at Wolverine's greatest battles from the comics. Gorilla Grodd is the gift that keeps on giving. As if it weren’t enough that The Flash took us on a trip to Gorilla City last week, now we got to see a full-on, Planet of the Apes-style attack on Central City in this week’s follow-up episode. Despite the obvious budgetary limitations at work, “Attack on Central City” still managed to deliver a winning blend of character drama and speedster vs. ape action. As great as it would have been to see all 42 minutes devoted to nothing but speedsters wrestling with armored gorillas, there’s only so much the effects team can feasibly accomplish. It’s impressive enough that they’re able to bring an all-CG character like Grodd to life at all, much less put him at the head of a literal army of super-intelligent apes. So while this episode took its sweet time getting to the battle royale, at least that battle didn’t disappoint in the end. The scope in that climactic showdown was about as huge as we’ve seen from this series. Writer Ed Brisson (Bullseye, Iron Fist) and artist Mike Deodato (Original Sin, Avengers) are taking over as the new creative team of the ongoing comic series Old Man Logan at Marvel Comics, replacing writer Jeff Lemire and Andrea Sorrentino starting with Issue #15. The new duo will begin a new phase of Old Man Logan's life, who is currently stuck in the normal Marvel Universe instead of his hellish alternate future known as the Wastelands. The story will see Logan take on Maestro, a future super-villain version of the Hulk, and the Hulk Gang from the Wastelands. The X-Men movies have made plenty of changes to the source material, but one element that hasn't changed is the convoluted approach to continuity. That continuity promises to become even more confusing with the release of Logan. This tenth entry in the X-Men saga jumps forward in the timeline to explore a post-apocalyptic world where an aging Wolverine is one of the last mutants still standing. Marvel's The Inhumans has found its Black Bolt in Anson Mount. 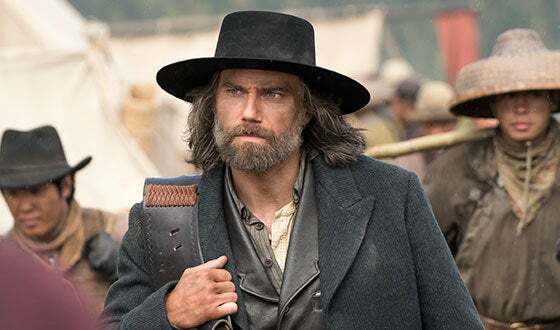 As revealed by Marvel.com, the actor—best known for his role as Cullen Bohannon in the Western drama series Hell on Wheels—will play the ruler of the Inhumans in the upcoming Marvel series, whose special ability his is devastatingly powerful voice. "Anson loves the challenge of playing a character who will only communicate silently," Marvel TV head and executive producer Jeph Loeb said. "His enthusiasm mixed with his imposing almost regal persona made it easy to see why he is our Black Bolt." Major Spoilers reviews The Few #2 from Image Comics. The post The Few #2 Review appeared first on Major Spoilers.